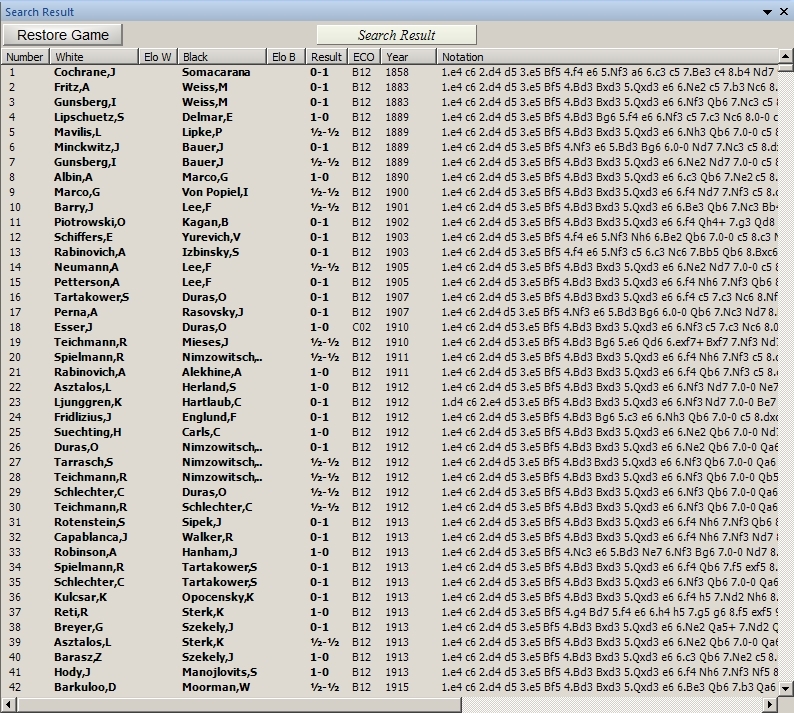 You’ll recall that in the last blog post I showed you two ChessBase 11 shortcuts: how to quickly set up a position search, and how to search multiple databases in one pass. A multi-database search can yield an awful lot of “hits”, so how do you start sifting through all that material? 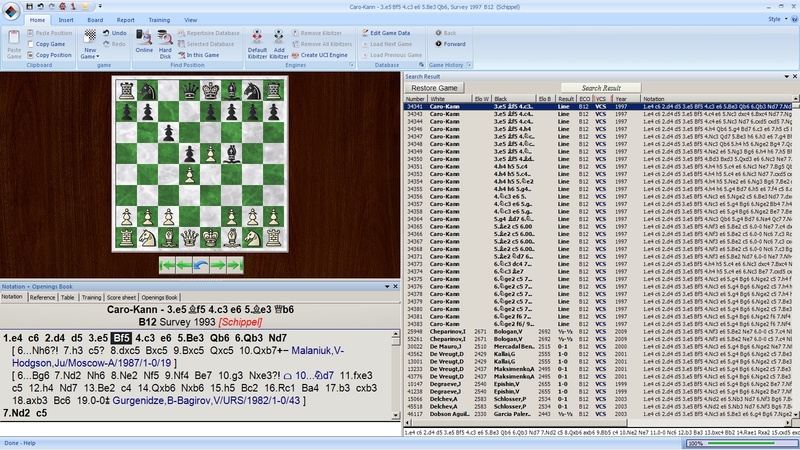 Scrolling to the end of this game list, we discover that ChessBase 11 has unearthed over 55,000 games, making it difficult for us to decide how to even begin to peruse this material. I have a tip for you: begin with any annotated games you find in the game list. 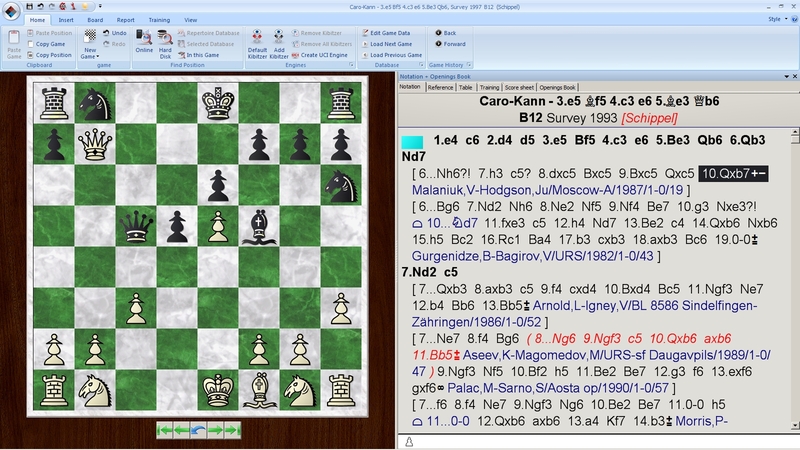 These games are tremendously useful because of the commentary they contain. You’re not just stumbling around in the dark trying to figure out what’s important; the commentary and variations give you that information. But how do you determine which are the annotated games? Even with this handy flag, it can still be a chore to scroll up and down the game list to find annotated games. There is, however, a handy “one-click” solution here as well (which you might remember from a previous post to this blog): the column headers in the search result window double as buttons. Clicking a column header will re-sort the game list according to that column’s information. Note that this re-sorting process does require a couple of minutes, but you can always see the progress by looking at the status bar in the screen’s lower right-hand corner. 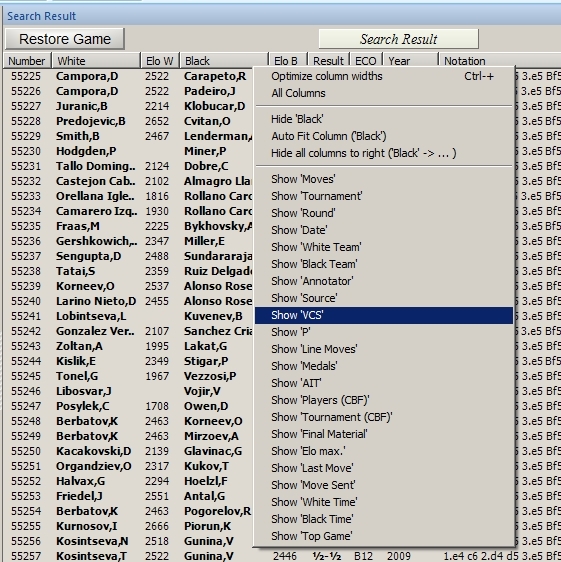 It’s that simple – after conducting a search which turns up hundreds or thousands of games, sort the search results to find the annotated games, which are in turn much more informative than unannotated material.